If you’ve ever felt a shooting, tingling sensation down your leg or quick, sharp pain after lifting something or playing sports, you likely have experienced a nerve injury. Often, the pain is just a temporary nuisance, but it can also be debilitating. Clinical massage therapy can often relieve pain caused by nerve injury. Let’s take a look at nerves, the pain they can cause and how massage benefits nerve issues. What is the structure of nerves? Nerves transmit messages or signals between the brain and the rest of the body. They can tell the muscles to move or let the brain know that there is pain or pressure. If you think of the nerve network as a tree, the brain and spinal cord make up the trunk. The 43 pairs of peripheral nerves are the branches that spread out from the trunk (central nerves). Each of the peripheral nerves is made up of axons (long tails of nerve cells that act as a pathway to connect to other nerve cells) and Schwann cells that wrap around the axons to form a protective sheath. In terms of a tree, the Schwann cells would be considered the bark. Nerves often become compressed or pinched when a bone, muscle or other connective tissue begin to crowd them. Sometimes, traumatic injuries cause nerve pain, but more often it is due to tendons, ligaments, muscles or fascia putting pressure on the nerve through repetitive motion. Examples of repetitive stress injuries include carpal tunnel syndrome, which affects the wrist and hand, or cubital tunnel syndrome (tennis elbow). What kind of nerve injuries are there? Neuropraxia is the least severe and may occur when nerve transmissions are completely blocked, even though the nerve fibers are intact. A fracture, dislocation or prolonged pressure on the nerve can cause neuropraxia. Recovery can happen in a few hours to a few months. Axonotmesis can occur after a crushing injury that divides the axons. It may result in the complete loss of motor function and sensation, and recovery can take up to a few years. Neurotmesis injuries happen when the axons and sheath are completely severed. Although it is the most severe of the three, the nerve can be repaired — especially if the cut is clean rather than torn. Of neuropraxia-type injuries, which are more common? We know that medicine’s goal is to relieve symptoms and improve health. Massage therapy does both, naturally. Massage techniques include stroking, kneading, gliding, vibration, compression, friction and stretching in a system of structured palpitations of the soft tissue of the body. How can clinical massage therapy help relieve nerve pain? Those suffering from nerve injuries may experience pain relief from clinical massage therapy. That’s because massage triggers an involuntary relaxation response from the nervous system. It causes your heart and breathing rates to slow down, and your blood pressure and stress hormones to decrease. When these things occur, pain can lessen. Massage benefits include improving circulation, relaxing tight muscles that could be encroaching on nerves and increasing endorphins (the “feel-good” chemicals). How can I become a massage therapist? As more people choose to live a healthier lifestyle and prefer a more holistic approach to healthcare and pain management, the demand for licensed massage therapists grows. According to O*NET OnLine, the career outlook for massage therapists is much faster than average. The Soma Institute in Chicago offers a comprehensive Clinical Massage diploma program that combines classroom education, hands-on training, practical experience and industry support so that you can become a clinical massage therapist in as few as 11 months. 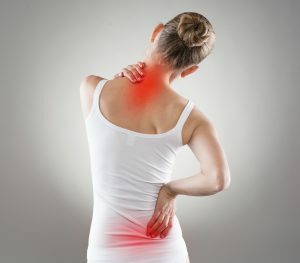 You’ll learn natural techniques to help people relieve their pain, reduce stress, recuperate after illness and promote their general well-being. Learn from experienced industry professionals who will share their expertise in a variety of massage practices: Swedish massage, trigger point therapy, neuromuscular techniques, hydrotherapy and sports massage. In addition, you’ll have an opportunity to work in an internship program in Soma’s on-site clinic, practicing what you have learned on the public. Besides receiving top-notch instruction and hands-on practice, you can benefit from the Soma Institute’s flexible training schedule to fit your lifestyle and family obligations. You can choose from daytime or evening and Saturday classes so that you can manage the demands on your time. For more information on a rewarding career as a massage therapist, contact the Soma Institute today.